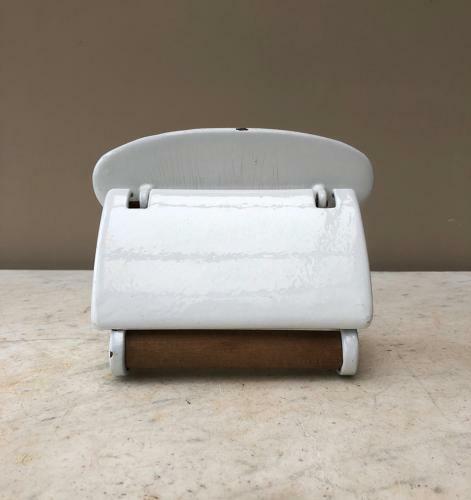 Rare to find Early 20th Century c.1920s White Enamel Quality Loo Roll Holder. Holes to wall fix and a flap at the front so when the loo roll is pulled it cant roll onto the floor. The wooden rod slides out to easily replace the loo roll.